Trichocereus knuthianus is a plant that can be found in many parts of Peru. As a species, it is much more diverse than the clone that it is mostly reduced to and there are various forms that belong into the context of Trichocereus knuthianus. 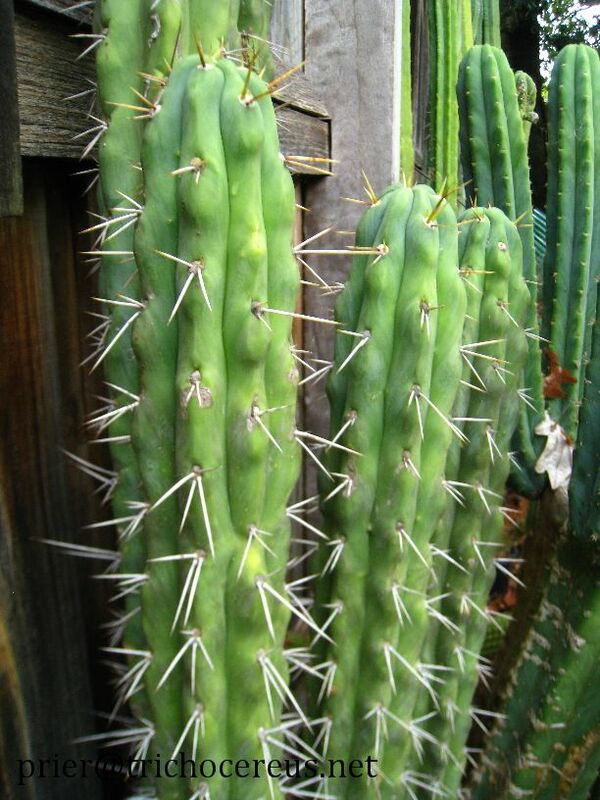 In addition, there are intermediates with Trichocereus schoenii, Trichocereus tarmaensis and Trichocereus cuzcoensis. Though Trichocereus knuthianus is still considered a correct species with the name Echinopsis knuthiana, it is closely related to Trichocereus cuzcoensis and Trichocereus peruvianus. There was never any good DNA testing done to verify or question this, which is why it is on our short list of species that we´ll test for our upcoming book on the genus Trichocereus. In my opinion, it is a relative of Trichocereus cuzcoensis. We will find out how related exactly once we´ve ran some tests. 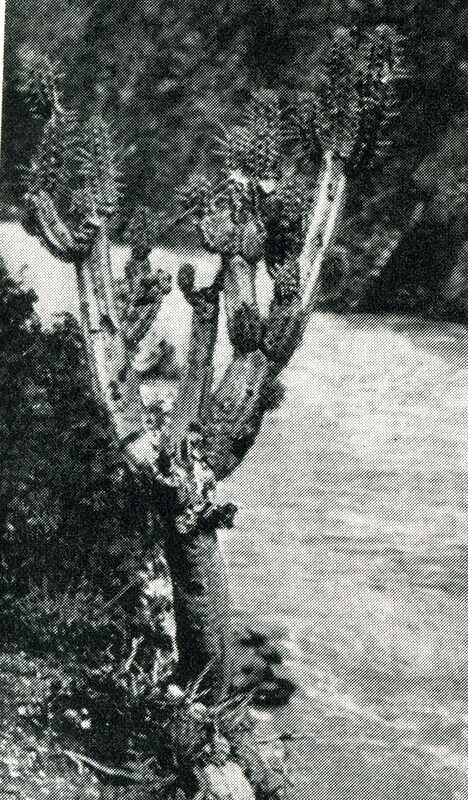 Trichocereus knuthianus was discovered and described by Curt Backeberg on the upper course of the Rio Marañon. The plant was named after Graf F.M.Knuth, who was Curt Backeberg´s co-author in the book KAKTUS ABC and a financier for some of his trips. Most plants that are available on the open market were originally sourced from Friedrich Ritters Seed list. Ritter´s collection number of Trichocereus knuthianus was FR567, sometimes also labeled as Trichocereus knuthianus f. pachanoi or Trichocereus knuthianus FR 677! This strain can be found in collections throughout the World though it is most common in Australia. 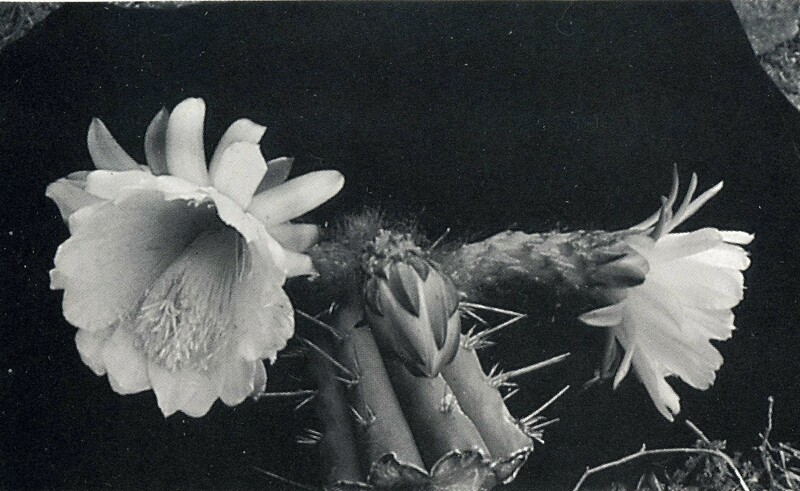 Ritter wrote that it´s probably synonymous with Trichocereus tarmaensis and I agree to a certain degree. In addition, he shared the opinion that Trichocereus knuthianus is actually a variety of Trichocereus cuzcoensis, which is most likely correct as well. 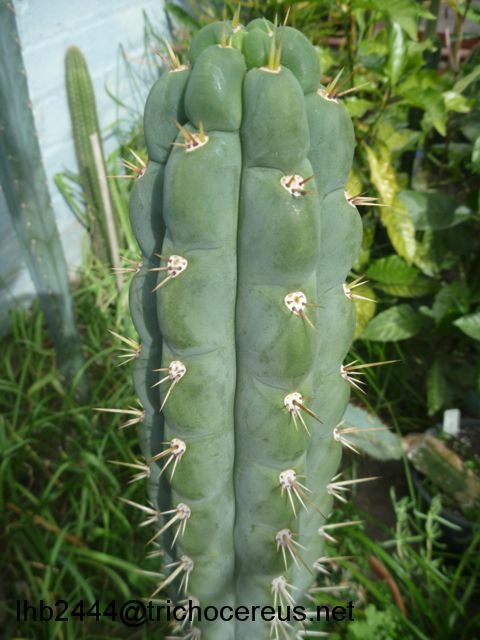 Trichocereus cuzcoensis only grows in Cusco, but its close relatives grow all over Peru, e.g. Trichocereus tarmaensis, Trichocereus schoenii, etc. Curt Backeberg, on the other hand did absolutely not agree with Ritter´s attempt to nullify Backeberg´s species, as it would mean that his newly described “species” would´ve become invalid. Generally speaking, Friedrich Ritter knew that plant very well . Mature plants of Echinopsis knuthiana in habitat tend to have that tree-like rounded log-shape that you can observe on Trichocereus cuzcoensis too. Most other Trichocereus species do not form such a rounded and tree-like stump, which is another indicator for its genetic proximity to the Cuzcoensis complex. 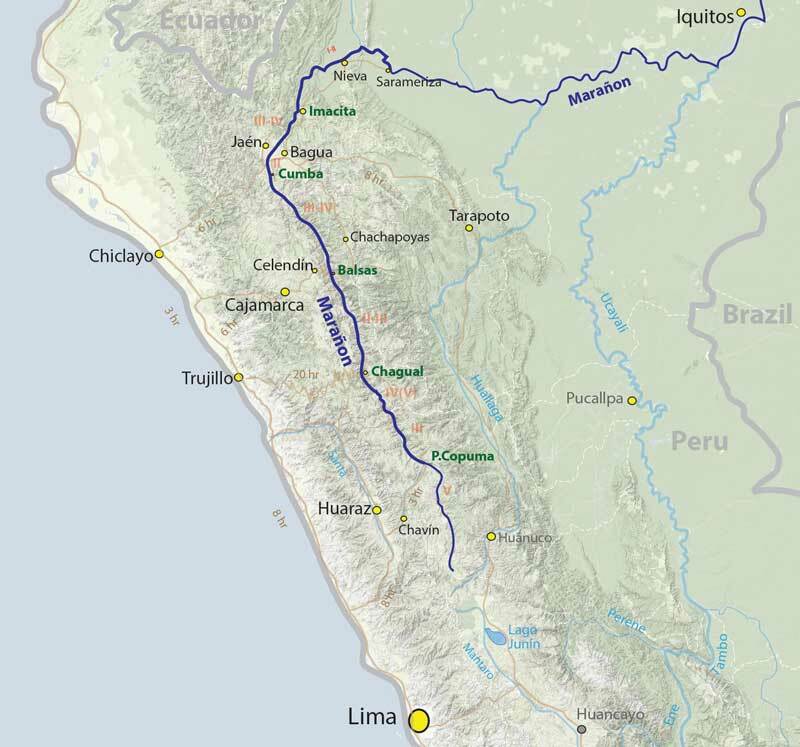 Trichocereus knuthianus is very widespread and grows in Central Peru and some Departments that surround it.